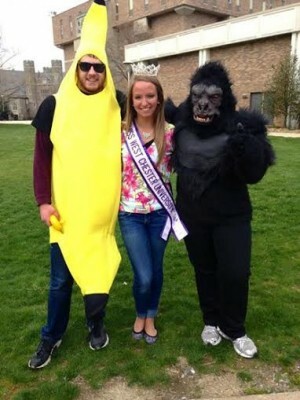 I was given the chance to interview Molly Callanan, Miss West Chester University 2014. I can tell just from talking to her how truly dedicated she is to everything she does, which just happens to be a lot! Just to name a few: Molly is a member of the University dance company and dance team, VP of Programming in Delta Phi Epsilon, a member of the Public Relations Student Society of America, a Body Peace and Active Minds member, and a member of the Communications honor society Lambda Pi Eta. It’s no surprise she won the crown at Miss WCU! Hear all about Molly’s experiences at WCU and get some amazing advice from this girl! First off, tell us about your experience in Delta Phi Epsilon! What have been some of your most treasured memories? Delta Phi Epsilon has been filling my time at college with the most amazing opportunities. We are the only sorority on campus that has three philanthropies, so as you could imagine, there are plenty of philanthropic and community service opportunities, which I love! DPhiE is a mix of every kind of personality you could think of creating unique friendships, bonds, and memories. Some of my most treasured memories would be all of the little moments. Of course I love all of the big things like formal, homecoming, and philanthropy events, but I really love the small moments where you make special connections and bonds with other sisters. Being able to meet so many other people in the Greek community has been really special to me, too. 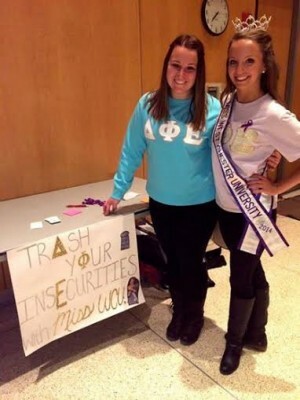 What has being in a sorority taught you? Being in a sorority has taught me so many valuable life lessons. It has taught me how to look out for a greater good, how to channel my best traits in order to excel, unconditional love, teamwork, and how to talk to people in a professional and polite manner. If you could design a piece of jewelry for Delta Phi Epsilon, what would you design and why? If I could design a piece of jewelry for DPhiE, I think it would have to be a bracelet with an iris on it. I’m a big bracelet kind of girl, and although I do love our mascot, the unicorn, I think people tend to forget our flower, the lovely purple iris. Irises are just absolutely beautiful! Congratulations on winning Miss WCU! What has been some of the best experiences you’ve gotten from this honor and what do you hope to achieve in the future? Being able to represent my university is a blessing in and of itself. In just the few short months that I have been Miss WCU, I have attended various campus and community events, as well as events in the Philadelphia area. 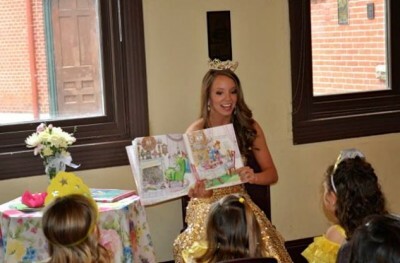 Working with children is always a rewarding opportunity, and I was lucky enough to read at a charter school in North Philadelphia for Read Across America and at a Princess Tea that was held at the West Chester Public Library. This summer I am traveling to Florida to take part in the To Write Love on Her Arms (TWLOHA) Summer Conference. TWLOHA is my platform, and by attending this conference, I will be able to better implement my platform on campus and within my community by creating a UChapter at WCU. What’s your major? What do you hope to do as a career? I am a Communication Studies major with a minor in Dance. My dream job would be to work in the Public Relations field with a professional dance company, but I would really be happy with any public relations or event planning job I could get. I am also thinking about pursuing a Master’s Degree in order to work in Higher Education Student Affairs. Do you have any advice for A-Listers who want to pursue pageant dreams? Stay true to yourself and do not stress out. Those are the two most important pieces of advice I could give. It’s easy to lose yourself, to try to be someone you’re not, and to worry about what all of the other contestants are doing, but when you put your blinders on and stay focused, you really have more of a potential to be the best you can be. It’s so important to stay calm, cool, and collected during all aspects — you’ll just drive yourself crazy if you don’t. Trust me, I’ve been there. 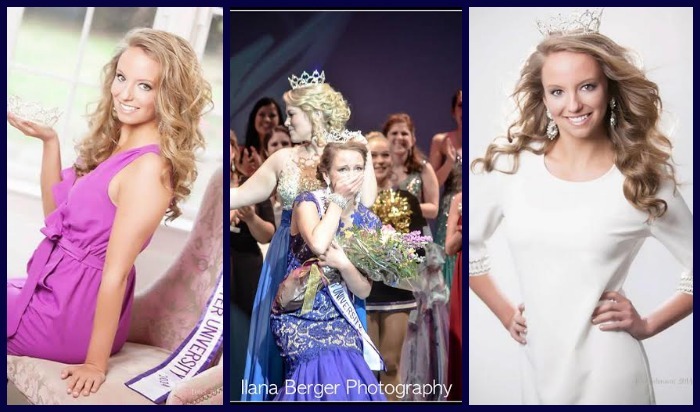 Pageants are supposed to be fun, don’t forget that! Also, if you’re passionate about something, go after it, pursue, and develop it. You’ll be much better off for it. And lastly, always be humble. Be humble towards those who help you, those who compete with you, and those who judge you. A little gratitude goes a long way! We know one thing- this girl is destined for big things! !